Riding a bike is always more fun when you’ve got your favorite riding buddies along for the ride, but over time those riding buddies change. Oh, it’s not necessarily a BAD thing. You know how it is. People change. Lifestyles change Schedules change. And in some cases, our health changes. While one person may become stronger, another may be suffering through an injury. For some of us, that discrepancy in riding style may be no big deal. but for others, it can really get in the way of an enjoyable riding experience, or the ability to meet fitness goals. That’s why we love an opportunity to make new riding buddies.Until there is an app for matching up with riding buddies (something way better than Tinder, please), here are some of our top tips. In most areas, you’ll find at least one shop that hosts a weekly ride. Sometimes they’re intensely paced rides, but often they’re no-drop rides where all skill levels are welcome. You’re guaranteed to meet others who love riding as much as you do. Most clubs eagerly welcome new riders who are just testing the waters. Find out when their rides are and head out for a spin. It’s important to date around and find a club that works for you – they are all so different. If you know ANYTHING about ORbike, you know we absolutely love supported rides and events. These happenings are a fantastic way to get to know other bike lovers. It’s generally a cool bunch of fun-loving riders who may or may not be competitive (you’ll find a mix on every ride). As the day progresses, you’ll see who you’re well paced with. Strike up a conversation. Don’t be shy! Who knows, maybe at the end you’ll even exchange numbers! Afterall, friends who bike together STAY together, right? We particularly love the Arthritis Bike Classic (September 16-22) as a ride for making new friends. The size of the ride is just PERFECT for getting to know the other riders (it typically maxes out around 50 riders). The routes are gorgeous and the support is supreme. 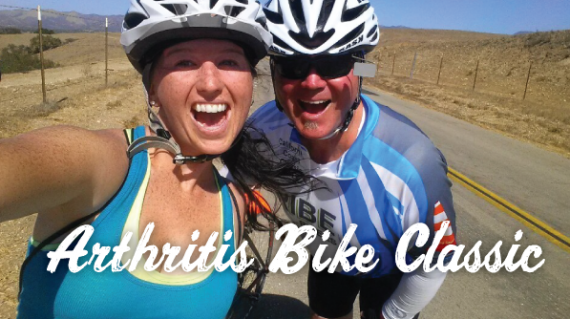 Arthritis Bike Classic is a mult-day ride, so you have a good opportunity to get to know the personalities of other riders and find some folks who are a good match for you.